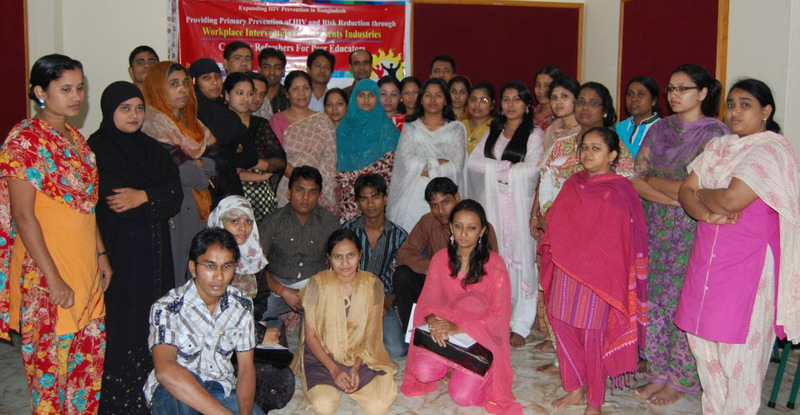 1st batch of five batches refreshers training started from 3 November 2010 at YPSA HRDC . The training workshop will be continued on 3, 4, 6, 7, and 8 November. Team Leader of GFATM-912 project Ms. Khaleda Begum inaugurated the training workshop. She emphasized on the proper dissemination of the messages which will be done by peer educators. She also told about the role of Peer Educators and Master Trainers about STI services. Finally she thanked all PE, MT, Garments management and SP management expecting effective implementation of the program. Peer Educators of enlisted garments of SAJAN, NONGOR and NIRMOL FOUNDATION participated in the training.